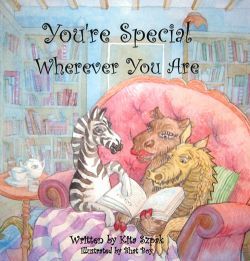 For storytime, at 9:30 am on Saturday the 28th, Kita Szpak will be reading from her new book, “You’re Special Wherever You Are”. 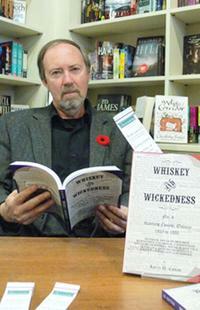 On Saturday November 28th, from 11am to 1pm, Ron Poulton will be in the store to discuss his new book and sign copies. About the book, from the publisher: “Working for the United Nations is often dangerous, and sometimes, an utterly futile endeavour. Human rights lawyer Ronald Poulton has experienced these realities first hand. Pale Blue Hope is his account of working for the UN in Cambodia and Tajikistan. In Cambodia, Poulton investigated human rights violations and political murders before returning to Canada. Later, at the request of the un, Poulton accepted the position of legal advisor in Tajikistan to investigate the ambush and killing of a UN observer force called Team Garm. Poulton vividly captures life in Dushanbe, the Tajik capital, a city full of fear and general curfews and secure steel doors, where political murders are common and suspicion stalks the streets. He quickly learns that his task will be more daunting than he imagined, complicated by un incompetence and regulations and a Tajik culture that sees him as an intruder. Larry Cotton will be in the store Saturday November 14th, from 11am to 1pm to chat about his book and sign copies. About the book, from a recent article: “Alcohol has never been something too far from the lips and hearts of residents, whether they live in Renfrew County or any other part of Canada. Prohibition and post-prohibition helped stamp the character of many Canadians and Canadian institutions. Join author Robin Harlick as she discusses her new book and signs copies at the store on Saturday, November 7th at 12pm. About the book: “Many years ago, Meg Harrisâ€™s fatherâ€™s plane went missing in the Arctic. He was never seen again. Thirty-six years later, her mother receives strange Inuit drawings that suggest he might have survived. Intent on discovering the truth, no matter how painful, Meg travels to Iqaluit and soon finds herself sucked into the world of Inuit art forgery and murder. Authors Lori Mockson and Shirley Chewick will be in the store Saturday November 7th at 9:30am for a special storytime reading from their new book. Bring your little ones and enjoy this wonderful story. Sebastian is excited about his new sock bank. With all the money he gets from his aunts and uncles, plus his own savings, he has enough to buy anything he wants. The problem is he just can’t decide how to spend his money. Come along with Sebastian as he tries to decide what to do with his sock bank savings. You will never guess what he decides to do.